Absolutely not. Soliloquy is carefully built with performance in mind. We have tested it on extremely high traffic websites to ensure that it scales without having any performance issues. 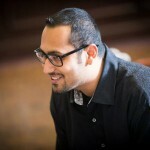 Syed Balkhi is the co-founder of Soliloquy. He was recognized as the top 100 entrepreneur under the age of 30 by the United Nations.